Longtime Lasallian Partner Mimi MacCaul, AFSC, passed away on Thursday, May 11, 2017, in Seattle, Washington. She was 77 years old. MacCaul served on the staff of the Buttimer Institute of Lasallian Studies, currently a program of the Office for Lasallian Education at Christian Brothers Conference, from 1992 until her retirement. She joined the Buttimer staff as participant community director, initially for Buttimer I students, and eventually as lead community director for the entire program. She also served as a Buttimer I instructor with Brother Luke Salm, FSC, as well as an instructor of special “Buttimer IV” sessions with Brother Donald Mouton, FSC. 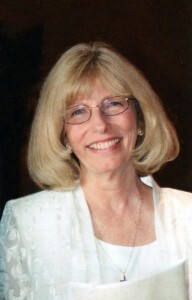 MacCaul began her service to the Lasallian mission in 1983 as a faculty member at La Salle High School in Pasadena, California. She served there for nine years teaching science, business communications and religion. She also served as campus minister and was the founding director of the school’s Pi Alpha Chi service club and the first director of its Lasallian Educational Advantage Program (LEAP), in which La Salle students taught classes to seventh and eighth graders at inner-city Catholic schools. MacCaul was presented with Letters of Affiliation by the Institute of the Brothers of the Christian Schools in 2002 in recognition of her numerous contributions to Lasallian education in both the District of San Francisco and throughout the Region. The funeral Mass for MacCaul will be on Thursday, May 18 at 11:00 a.m. at the Mont La Salle Chapel in Napa, California, with interment after at the Mont La Salle Brothers’ Cemetery. A reception at Mont La Salle will follow. A Celebration of Life will take place on Saturday, May 20 at 11:00 a.m. at La Salle High School in Pasadena, California. MacCaul is survived by her husband of 55 years, Bruce, their children, Susan MacCaul Siegmund and Robert MacCaul, and grandchildren, Sara MacCaul, Allison MacCaul, Danielle Spencer and Candace Spencer.